Got a little too much sun? It happens to all of us. 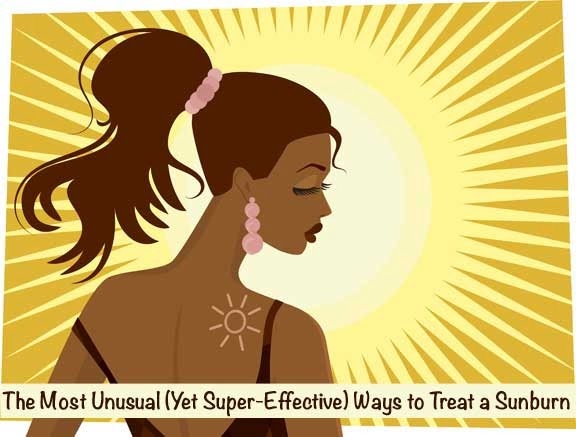 And unfortunately, it often happens when we don’t have the usual array of sunburn-busters – like aloe vera or cocoa butter – on hand. Cue: pain, blisters, peeling skin, itchiness, burning… the works. Thankfully, the doctors themselves recommend a host of home remedies that are easily available in every kitchen. From rubbing potatoes on your skin to dipping in an oatmeal bath, here are a few unusual and effective ways to ease the pain of your sunburn. PS: It’s not just about the sunburn. These remedies are also good for all post-sun time. Any prolonged exposure to the sun can irritate our skin and leave it vulnerable to premature ageing. So, slather on these pantry staples as a post-sun soother for damage control even when you are not actually burnt to a crisp! Burn-fighting effect: The plain old potato is great at relieving pain and inflammation, making it a perfect quick-fix for sunburnt skin. The juices from a raw potato help strengthen the upper layer of the skin, even out its color and provide moisture to dry areas. Plus, potato’s starchy compounds help take the sting out of a sunburn. Who knew? Sunburn treatment: Cut 2 washed potatoes into small chunks and puree them in a blender or food processor; add a bit of water if they look dry. Pat this puree on the sunburnt areas, wait till it dries and then take a cool shower. Or, you can simply cut the potato into thin round slices and place them on the sunburn for a few minutes – it might look a bit weird but it’ll definitely help with the pain. Burn-fighting effect: Lettuce’s natural pain-killing properties help wipe away the sting of a sunburn. Sunburn treatment: Boil lettuce leaves in water. Strain, then let the liquid cool for several hours in the refrigerator. Once chilled, dip cotton balls in the lettuce water and gently wipe over irritated skin. Burn-fighting effect: Turmeric’s antiseptic and anti-inflammatory properties make it a great remedy for the treatment of sunburn blisters. 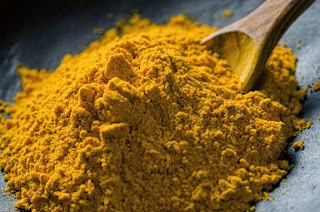 Sunburn treatment: Take 2 tablespoons of turmeric powder and add enough water to make a paste. Apply this paste over the blistered area for 10 minutes, then wash off gently with cold water. Follow this remedy once daily until the sunburn blisters are cured. Burn-fighting effect: According to scientists, the red tomato helps protect the skin from sunburn and skin ageing caused by sunlight exposure thanks to the ingredient lycopene – the natural pigment that gives this fruit its red color. Sunburn treatment: Puree a frozen tomato and apply it directly to the burnt area. Eating tomatoes can also help prevent future sun damage. Burn-fighting effect: Olive oil is a natural moisturizer and is known for having a healing effect on sun-damaged skin. Sunburn treatment: Dip a cotton ball in a small cup with olive oil and apply to all the sore areas. Burn-fighting effect: Oats hold moisture and have a high silica content, making them an ideal skin soother. An oatmeal bath soothes dry, itchy or irritated skin. Sunburn treatment: Fill up the bathtub with cool – not cold – water. Don’t use bath salts, oils, or bubble bath. Instead, scoop 1/2 to 1 cup oatmeal – an ideal skin soother – and mix it in. Soak in this bath tub for about half an hour or more, then let your body air dry. Burn-fighting effect: Plain yogurt contains an abundance of probiotics and enzymes that help heal painful sunburns. Sunburn treatment: Wash your hands and apply cool yogurt directly to your burn. Let it sit on your skin until it warms up and then rinse it off with cool or tepid water. Apply as often as needed. Burn-fighting effect: Witch hazel contains tannins that, when applied to directly to the skin, help reduce swelling, repair damaged skin and ward off nasty bacteria. Sunburn treatment: Pour witch hazel into a bowl and soak cotton balls or a clean cloth in the liquid. Dab on just enough to cover the burn – it doesn't need to be dripping off. Reapply as needed for soothing the pain. Burn-fighting effect: Instant relief… that’s what a cucumber is to scorched skin. 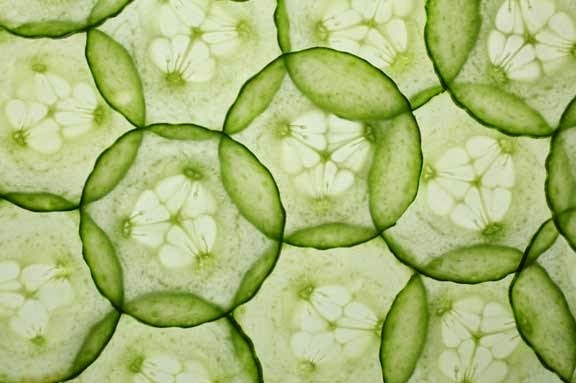 Not only is a cucumber soothing to the burn simply because its cool, but its antioxidant and analgesic properties also promote healing and further relief from discomfort. Sunburn treatment: If you’re going for mainly quick pain relief, slice up a chilled cucumber and lay the slices on your burned skin. Flip the slices when the first side heats up, like how you flip a pillow to get the cool side up. For a longer lasting effect, chill 1 or 2 cucumbers and toss them in a blender to create a paste. Burn-fighting effect: Baking soda is alkaline in nature and thus it can be very soothing to the skin. At the same time baking soda has antiseptic properties that can help in getting relief from the itchiness that often accompanies sunburn blisters. Sunburn treatment: Fill your bath tub with cold water, add 1-2 cups of baking soda and mix properly. Soak your body in this bath for about half an hour. For instant relief from the burning, you can mix some baking soda in water and apply this paste over the affected areas. Burn-fighting effect: Milk creates a protein film on your skin that will help ease the discomfort of fresh sunburn. Sunburn treatment: Fill a bowl with cool (not cold) milk. Soak a washcloth or gauze in the milk. When the gauze or washcloth is saturated, let the excess liquid drain off. Drape across your burn, pressing gently so that it stays in place, and leave it on for as long as needed. If the milk in the bowl becomes room temperature chill it before re-dunking your compress.